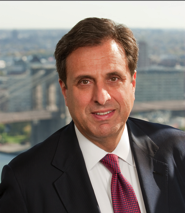 Jeff Bloom, a partner at New York personal injury law firm Gair, Gair, Conason, Rubinowitz, Bloom, Hershenhorn, Steigman & Mackauf, will be speaking at “Bridging the Gap”, a special CLE program for recent graduates and newly admitted attorneys put on by the New York State Bar Association. This two-day program will be presented in New York City on December 10th and 11th and broadcast live to other locations, in Albany and Buffalo, in an interactive video conference format, allowing “real time” interaction between all locations. This program is approved for MCLE credit for newly admitted attorneys in all locations, regardless of format. Jeff will speak on Wednesday December 11th at 2:55 pm and will provide an overview on how to handle a medical malpractice case. Since joining the firm in 1979, Jeff has carved out a reputation as one of the top medical malpractice and personal injury attorneys in New York. Known and respected by both the bench and bar as a fierce advocate on behalf of his clients, he has helped them successfully achieve numerous multi-million dollar recoveries.